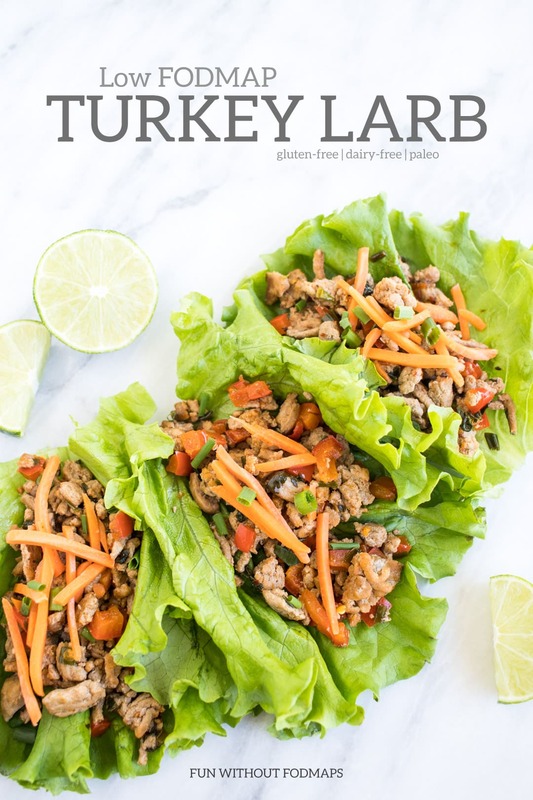 20-minute Low FODMAP Turkey Larb is a delicious mix of browned turkey and FODMAP-friendly Asian flavors. Serve in lettuce wraps or over a scoop of rice. Happy Around the World Wednesday! This week we’re traveling to Laos/Thailand to enjoy a FODMAP-friendly take on larb. Before we talk food, I wanted to say that I am totally adding “Visit Kuang Si Falls” to my never-ending travel bucket list. Those turquoise pools and cascading falls look simply amazing !!! Has anyone been?! Anyhoo, on to larb. 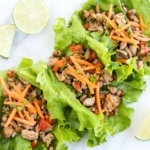 Larb, if you’re not familiar, is kind of like a meat salad filled with all kinds of yummy southeast Asian flavors – think: fish sauce, lime juice, garlic, cilantro, and hot peppers. It’s said to be the unofficial dish of Laos, but I’ve also found it served in several Thai restaurants here in the midwest. Recently, my in-law’s made us a superb larb stuffed pepper dish. It was so good that I knew I needed to make something low FODMAP-style and share it with all y’all here on the blog. Hence, today’s low FODMAP turkey larb. Now, larb is not traditionally made with turkey – that’s more of the dietitian in me, as well as a personal preference. 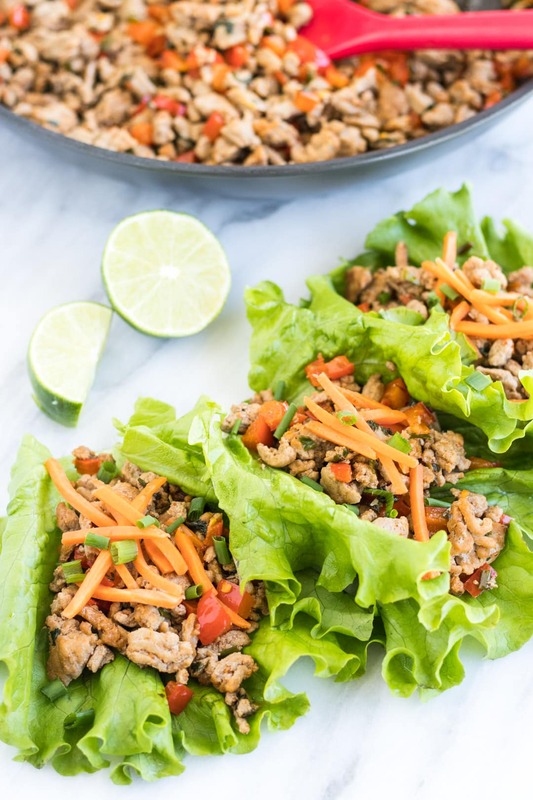 Instead, larb is typically made with ground pork or chicken, which you can totally sub into this recipe if you would like. In addition to making some FODMAP-friendly garlic swaps with garlic-infused olive oil and chives, I also added some veggies to make this “meat salad’ more of a balanced meal option. All in all, this recipe takes only about 15-20 minutes to make. So, it’s great for a quick and easy weeknight meal. As suggested in the recipe, you could serve the filling in lettuce leaves and topped with carrot sticks. Or, you could serve this low FODMAP turkey larb over a nice scoop of cooked rice. Choose brown rice for a whole grain option and a bit more FODMAP-friendly fiber. Heat oil in a skillet. Add turkey and brown until cooked. Add red bell pepper and continue to cook until soft. Stir in sambal oelek, lime juice, and fish sauce. Adjust to taste, as needed. Cook for 1-2 minutes to allow for some of the liquid to evaporate. Remove from heat. Add in cilantro and chives. Stir to mix. Serve warm on lettuce leaves topped with carrot matchsticks, lime wedges, and/or cooked rice. Ground Turkey: Could also use plain ground pork or chicken. Sambal Oelek: Indonesian condiment made from red chili peppers and vinegar. 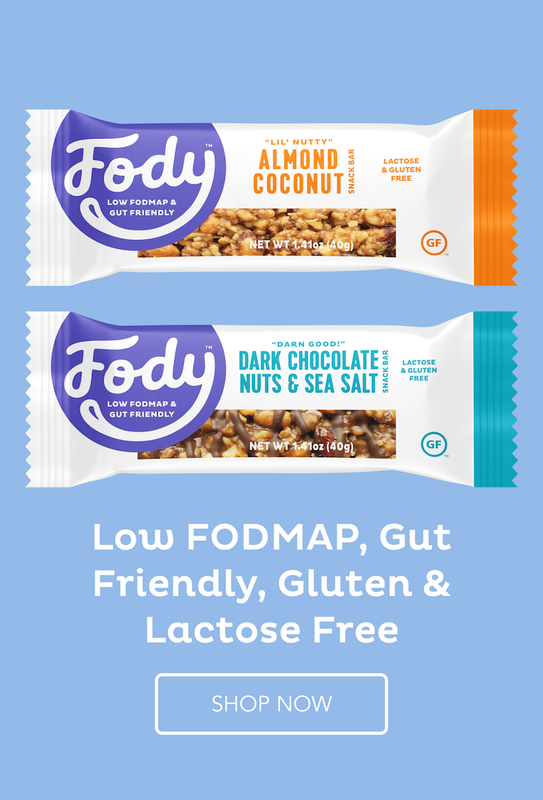 It has not yet been tested by Monash University but is made from FODMAP-friendly ingredients. Read more about this ingredient here. If you’d prefer, substitute 1 small red chili pepper (or jalapeño), seeded and diced, and add it to cook with the red bell pepper. Hi is there something I could use instead of the sambal oelek?? 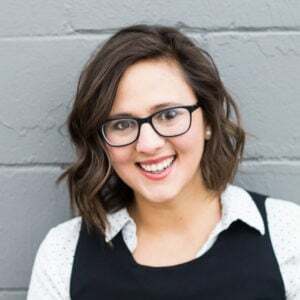 Hi Mary Ellen, Sriracha was just laboratory tested by Monash University and is considered FODMAP in 1 teaspoon servings. You could use 1 tablespoon sriracha (to keep the serving size low FODMAP) instead of the 2 tablespoons sambal oelek. If you’re looking to avoid spice, you could also omit the sambal oelek altogether. Hope that helps! EM: I’m a bit miffed as to why no one has commented on these wraps yet. 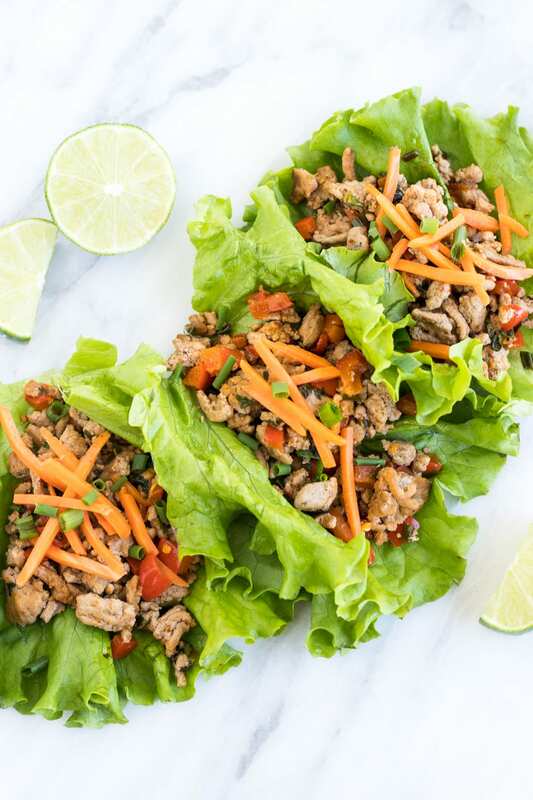 Before we had to worry about FODMAPS we ate Asian lettuce wraps which were delicious. This recipe looks even better and I can’t wait to try it. It’s my first day on your site and it is really what Ive been looking for for a long time. Thanks!